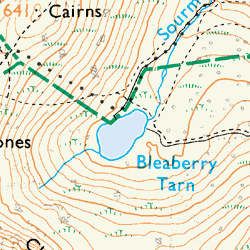 Bleaberry Tarn is a small sheet of water located in the valley of Buttermere under the towering heights of High Stile and Red Pike. It is frequently visited as it lies en-route to the summit of Red Pike along its most popular path. 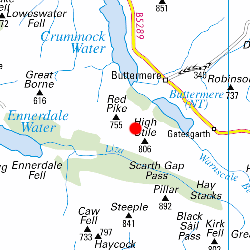 The outflow of the tarn is called Sourmilk Gill, one of two in the Lake District.